As the story opens, Kane and his band of pillagers are carving a bloody path through hordes of defenders in an exotic city in northern Africa. But, when Kane decides to attack a mysterious nearby castle to plunder its rumored riches, his mission takes a fateful turn. One by one, Kane’s men are picked off by demonic creatures until he alone is left to face the Devil’s own Reaper -- dispatched from the depths of Hell to lay claim to his hopelessly corrupt soul. Though Kane at last manages to escape, he knows that he now must redeem himself by renouncing violence and devoting himself wholly to a life of peace and purity. His newfound spirituality, however, is quickly put to the ultimate test when he begins his journey across an England ravaged by diabolical human Raiders controlled by a terrifying, masked Overlord. 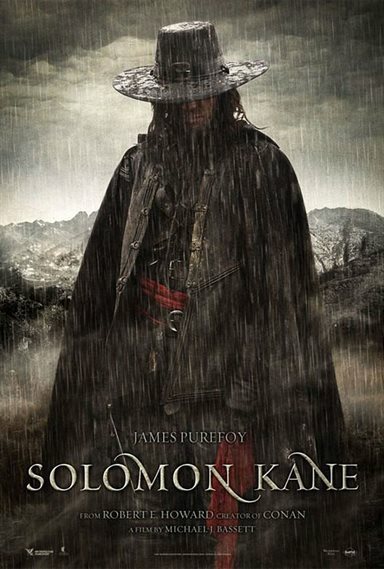 Download Solomon Kane in Digital HD from the iTunes store. Solomon Kane images are © Weinstein Company, The. All Rights Reserved.